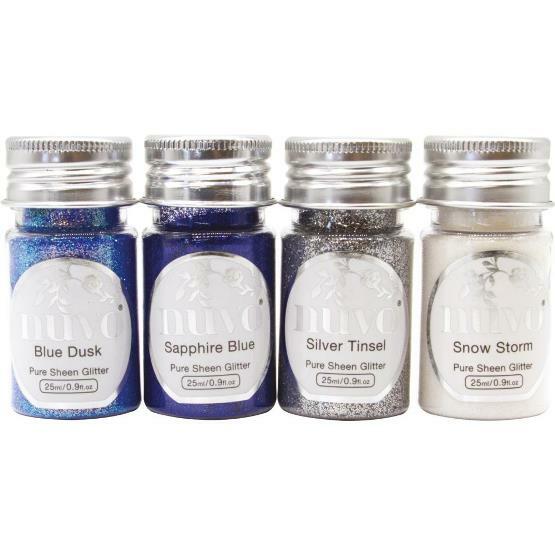 Add sparkle to any craft project with Nuvo Pure Sheen Glitter. The bottle's wide opening makes pouring any excess glitter back in a breeze. The shimmering finish is perfect to use with stencils and other mediums on any paper craft and mixed media project.